Communicating Interpersonal Conflict in Close Relationships: Contexts, Challenges, and Opportunities provides a state-of-the-art review of research on conflict in close personal relationships. This volume brings together both seasoned and new voices in communication research to address the challenges in evaluating conflict. Contributors review the current state of research on themes related to power, serial arguments, interpersonal and family dynamics, physiological processes, and mechanisms of forgiveness by presenting theoretical reviews, original unpublished data-driven research, and discussions about the methodological challenges and opportunities in studying interpersonal conflict. 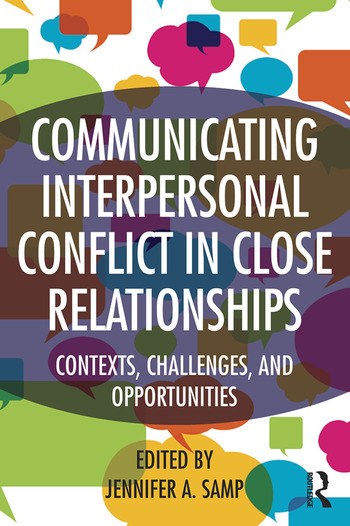 An essential resource for graduate students and faculty interested in interpersonal conflict in close relationships between romantic partners, families, or friends, this volume is intended for advanced coursework and individual study in communication, social psychology, and close relationship scholarship. Jennifer A. Samp is Professor of Communication Studies at the University of Georgia, USA.